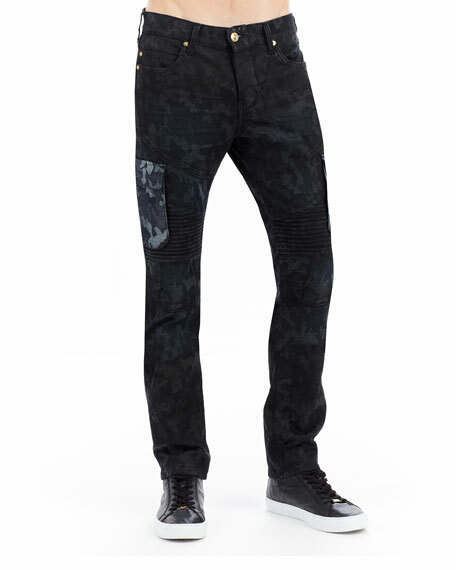 True Religion "Rocco" moto jeans in over-dyed jacquard camo stretch-denim. 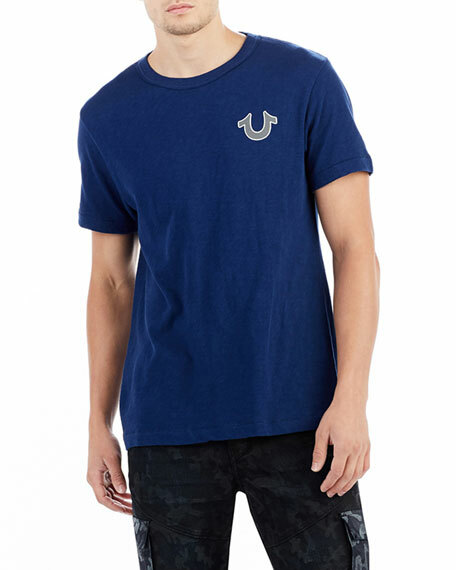 Signature horseshoe stitching at back. 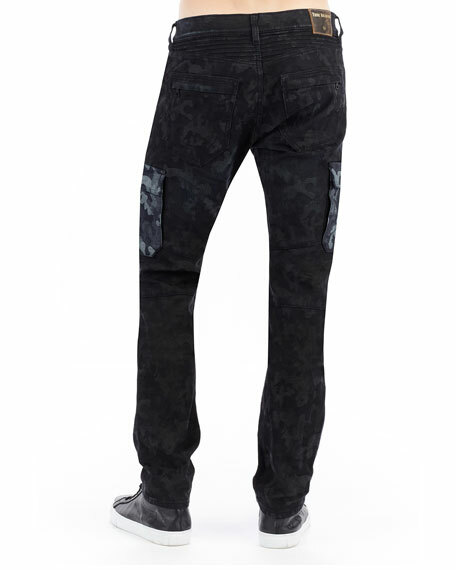 For in-store inquiries, use sku #2447806.